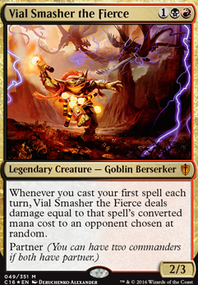 To have any chance of dealing with stax, we're going to have to also add Vandalblast . 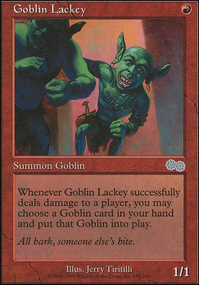 The thing about Crucible of Worlds in my opinion really comes only to a decision between it and Urza's Incubator - former gives more color fixing for all spells and takes the risk of not doing anything when graveyard hate hits, while the latter lowers part of the Dragon spells and takes risk of helping some of your opponents a little. That is debatable which one is better so decision is really up to you. Also with 10 fetches you'll have way easier time with intense Dragons + Nesting Dragon becomes a real threat with them, not to mention the increased value of Deathrite Shaman . If 37 lands is too much, then I'd go for Noble Hierarch in it's place for ramp/fixing since we have way lower avg.CMC than before and if someone wastes removal on dork then... It's one less thing to worry about when we're ready to cast a real threat. 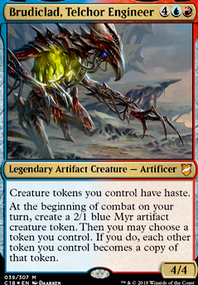 Yeah, Surrak will stay as sideboard card and I'll also add there Living Death just in case of too tribal oriented meta. Also Vandalblast might end up there to make room for Worldly Tutor in the main. 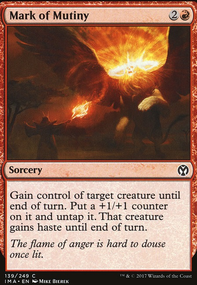 And finally, if you have too much of redundant effects then you can freely take removal or use Vaevictis Asmadi, the Dire to get rid of those to maybe get something better with topdeck manipulation, etc. Hello, first things first I must thank you for reaching out to me. Recently I got sick and tired of more casual Ur-Dragon decks and I'm very glad that someone out there also looks for ways to make it more optimized. I feel like this deck would use more dorks like Bloom Tender and Deathrite Shaman - this brings total of non-Dragon creatures to 5 but they all have CMC 1-4 and very clear purpose as they ramp and provide other useful abilities like grave hate, trample or more than 1 mana. 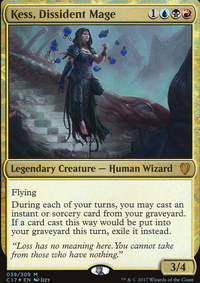 I perfectly understand hesitation when it comes to Bloom Tender because of it's high price but Deathrite Shaman is pure value so it gets banned everywhere, which combined with recent reprint makes it very affordable. I really like the idea of 1 CMC counterspell but how about Stubborn Denial ? 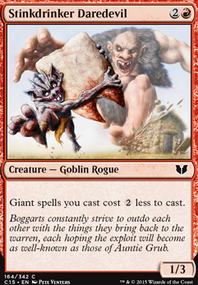 Instead of giving someone body to block/sac you have Mana Tithe early (just observe if someone completely taps out) and straight up Negate later since almost every creature in the deck is able to meet that requirement. 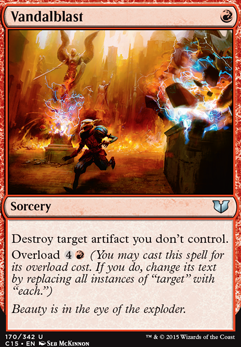 Also I can't recommend enough value of Vandalblast - it's very cheap removal or just artifact wipe and I'm really happy card with this flexibility exists. I don't really like the idea of Urza's Incubator since it helps other's cast their Dragons and I just prefer mana rocks that color fix. This might sound contradictory to the idea behind Goreclaw but she is a big body and provides slight buff and trample on top of cost reduction so it all justifies it's inclusion. For mana rock that would help maybe Mana Vault ? Speaking of fixing I personally use Expedition Map for this reason and when I'm done fixing I can just tutor for Cavern of Souls or Homeward Path in more control match-ups. 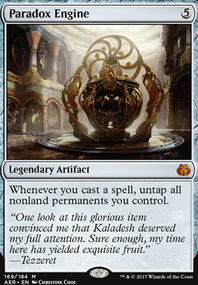 Also I don't understand the hype behind Coalition Relic . 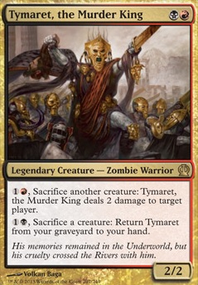 So to the above point I'd just go for Sarkhan Vol , which has haste or Act of Treason modes or Sarkhan the Mad to just kill someone with dragons by combat without combat (like some kind of Sun Tzu xD) and if it survives for another turn then draw off of it or get token. Also I'm thinking about running Living Death - what are your thoughts? And that's probably it from me, let me know what you think about these.